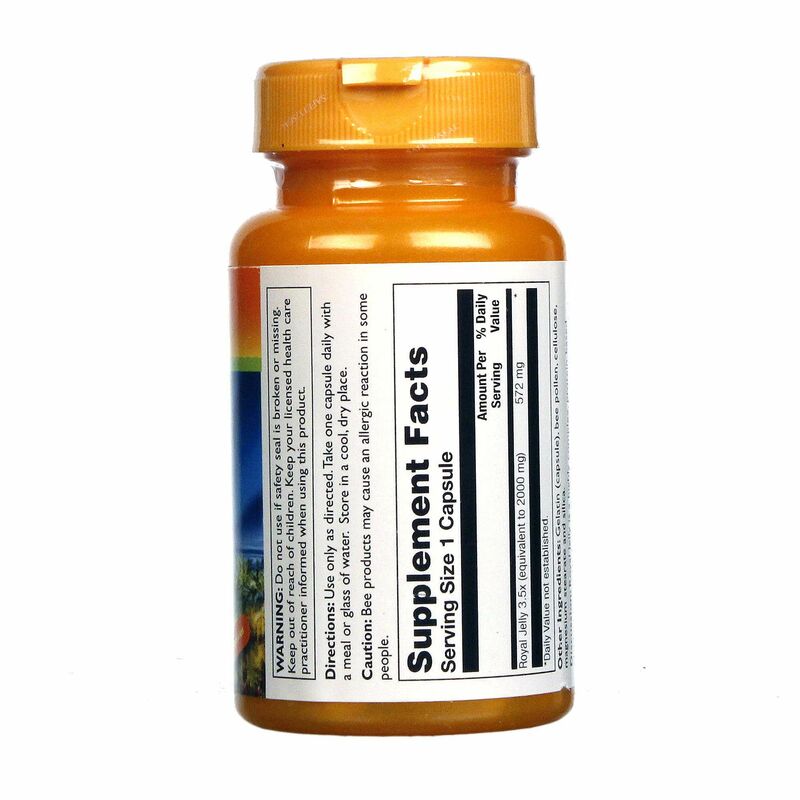 Royal jelly is consumed by the queen bee for nutrition and energy. Humans can also enjoy many benefits by consuming royal jelly, such as reduced inflammation and improved immunity and cognitive function. 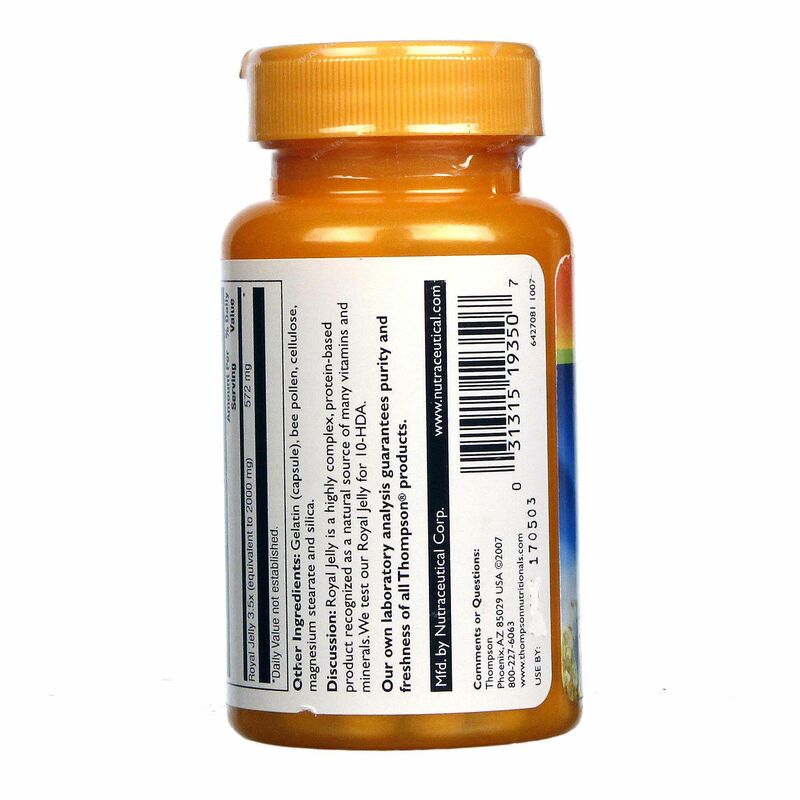 Thompson's Royal Jelly 2,000 mg also has antibacterial and antibiotic properties that may help the body fight off infection to help you health faster. 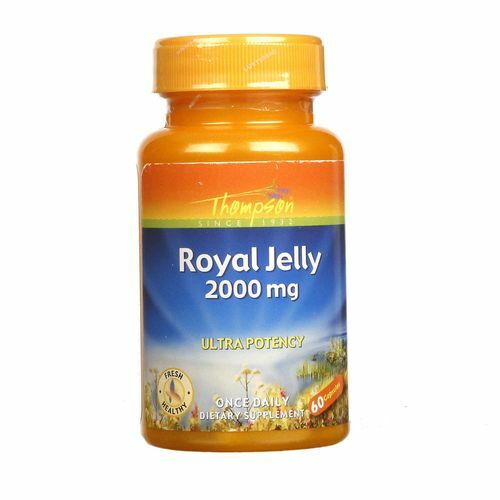 Give your body the very best with Royal Jelly 2,000 mg from Thompson. Try it today! 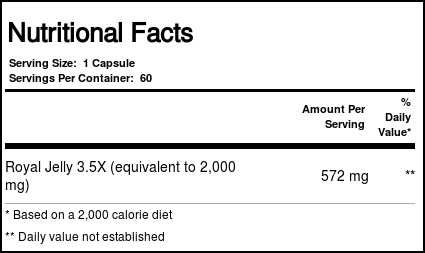 Recomendações de uso: Take one capsule daily with a meal or glass of water. As avaliações dos clientes postadas abaixo são baseadas em experiências individuais e NÃO representam necessariamente os resultados esperados ao usar/tomar Thompson Geléia Real 2000 mg 60 Cápsulas. Esses resultados podem ser atípicos e você não deve necessariamente esperar ter os mesmos resultados. Os resultados reais podem variar. Muito bom o produto faz com que você sinta mais energia no dia a dia e ainda fortalece teu sistema imunológico.